Im a new member here. Been messing with vintage motorcycles for some years but mostly with Soviet union bikes (IZ, Moskva M1a). 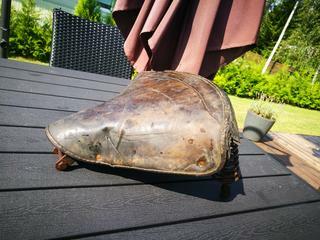 Recently i got a vintage saddle and i think it belonged to some British motorcycle. The label says Lycettes aero elastic saddle. 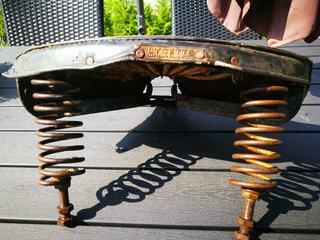 What bikes used this saddle? Its a generic saddle,fits all sorts, bottom spring fitting and length varies. Conserve as much of it as you can especially the fittings each end of the aerolastics and the badge. It's a good saddle better than a Terry. For those under 60, an aerolastic is what you call a bungee, god knows why.